A world-traveler from the UK, Dawn Woodhouse is a London-based account strategist for Criteo’s large clients. This week, we sit down with Dawn and ask about her career path and what she’s most proud of. I was born in the United Kingdom but after 2 weeks old, my mom moved me over to Nigeria where I spent the next 7 years. A stint in Dubai and Jakarta, and then I came back to the UK when I was 10 years old (with siblings in tow!). I spent the next 10 years in Sheffield, went onto university studying International Business with French. My itchy feet took me to France (for Erasmus), Spain (because I didn’t want to spend a summer working in a shopping mall) and Los Angeles for work. I’ve now been back in London for the past 2 and a half years. Like many university students, I didn’t know what I wanted to do. I knew I just wanted to travel abroad, learn a language and have experiences. It was after my internship at Orange Business Service, a telecoms company in Paris, that I realized I wanted to move into marketing or advertising. I applied for the Microsoft Academy for College Hires graduate scheme and was accepted onto the program while I was finishing my last year at university. At Microsoft I worked as an Account Manager for 4 and a half years (split between London and Santa Monica). I then decided to take a sabbatical (because there’s no time like the present), so I left to travel South East Asia for 5 months. I returned to London and found myself at the BBC where I worked as a Sales Manager in their international advertising division. However, I’ve always been passionate about tech and the experience I had previously at Microsoft, coupled with years in sales and account management helped me find my way to Criteo as an Account Strategist in the Large Customer Organization. 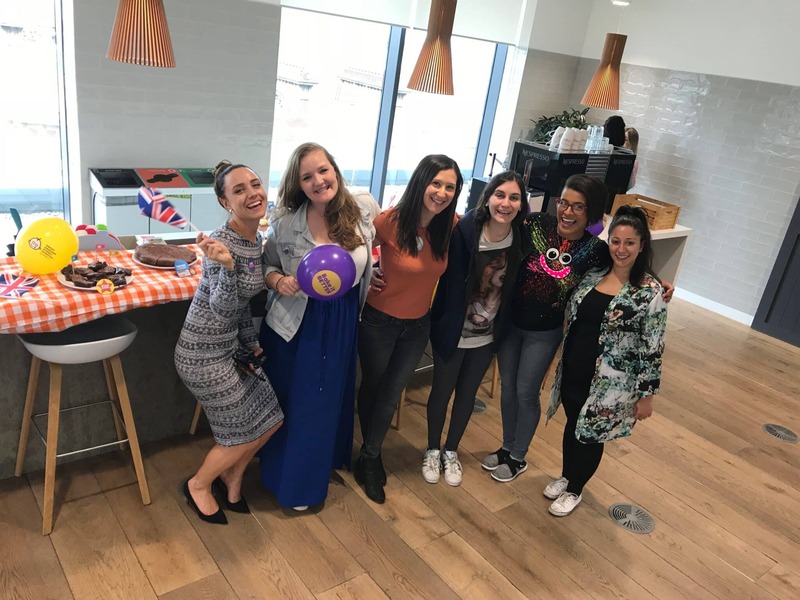 Dawn, center with Criteo UK on “International Vish Day”, a Criteo-UK specific holiday. I started out working in the retail team as an Account Strategist. Having worked in both a sales and account management capacity definitely helped me to settle in quickly. Having never worked in performance marketing before, this presented a challenge in my learning curve. However, with the support of my team and plethora of resources, materials and knowledge that exists within Criteo, I was able to ramp up and now work in the travel team. Keeping our clients happy and demonstrating the value that Criteo brings to their business. I am very customer-centric and always focused on delivering service that’s above and beyond what our clients expect so they have a reason to continue to partner with us. How has Criteo helped foster your career? Dawn, second from right with fellow Criteos, at a Charity Bake. I’m really proud of and thoroughly enjoy my work with our product marketing team, helping to build new resources / materials / deliver training for our commercial teams that is particularly focused on competition and to showcase the company’s position in market. Too many to list, but at the top of that is travelling, kickboxing, and surfing. I also love learning new languages (I’m studying British Sign Language and Italian at the moment). I’m also a moderator for a Facebook community dedicated to empower women through travel. Advice for people looking to build a similar career? Be open, be humble, be fearless and most importantly, be yourself. Also, being willing to take an entry level position that connects with your area of interest (even if you’re at a later stage in your career, but want to take a diversion), is completely fine. Being willing to roll your sleeves up and graft for what you want is a great way build up your network and gain exposure in the market and make new connections. For instance, a reason why I became a moderator for the GoWonder Facebook community is because I wanted to develop new skills in social media, better understand the nature of the travel industry and how that changes to help me adapt to my new team. 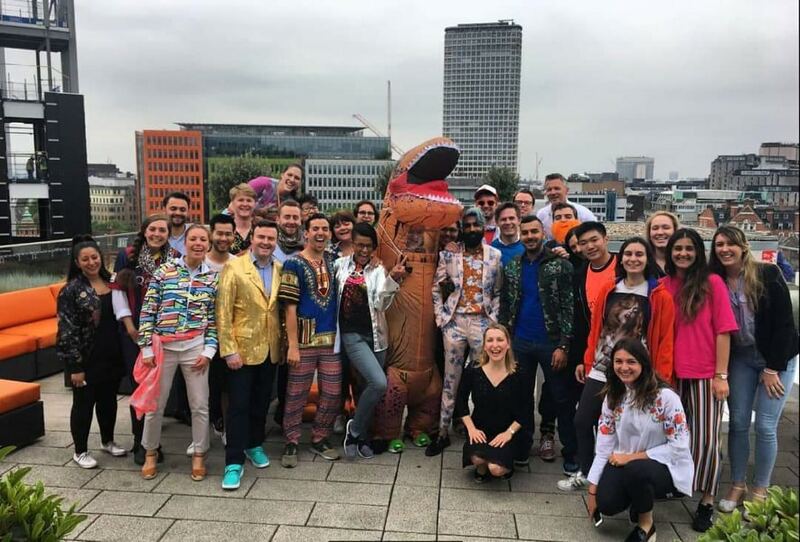 Criteo is incredibly dynamic and diverse. The opportunities here are endless and it’s up to you how much you want to get involved in. Act with integrity, dare to take risks, embrace the unknown and you’ll amaze yourself at just how far you can go if you’re willing to step up and push the boundaries.